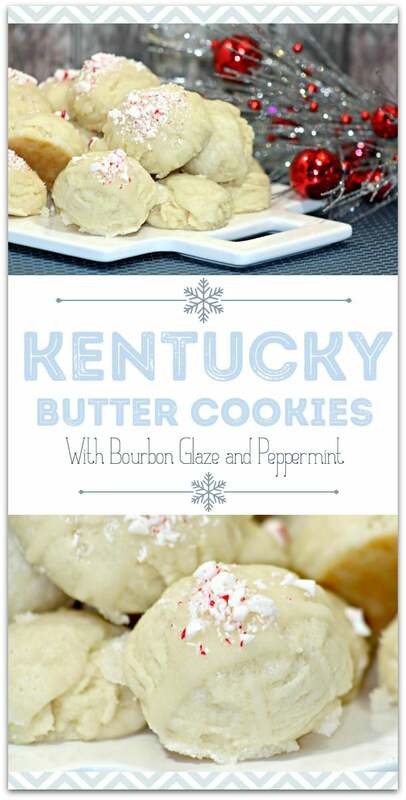 When I saw this recipe, the first thing I thought was, Why are they called Kentucky Butter Cookies? So I had to do a little research. When I Googled it, many of the results began with I’m not sure why it’s called Kentucky Butter…cake, cookies, etc. Well, we cant have that, can we? So I kept searching. And low and behold, I found that 95% of the world’s bourbon supply comes from Kentucky. So I guess it’s all in the glaze! This Kentucky Butter Cookies with Bourbon Glaze recipe is easy and such a great grown-up treat for your Christmas party. I love having desserts on hand for guests, and this is one all the adults will love! Have friends each bring an appetizer and you can serve dessert, for a ready-made holiday party! Who says you need to slave in the kitchen making food? -Preheat oven to 350 degrees. Line cookie sheet with parchment paper. -Beat butter and sugar for 1 minute. -Mix in the eggs and vanilla until well incorporated. 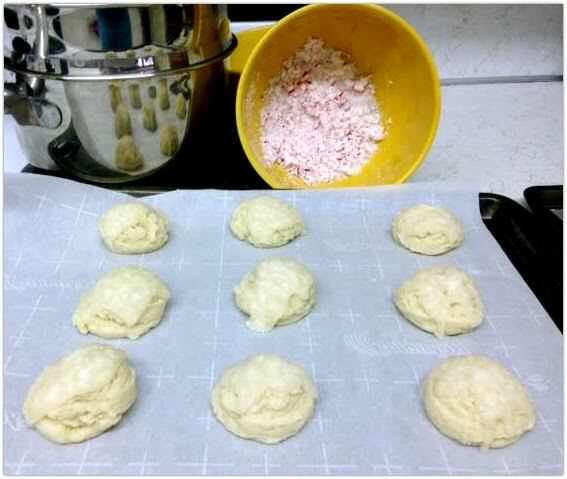 -Add together the flour, baking powder, and salt. -Add the flour combination to the other mixture. 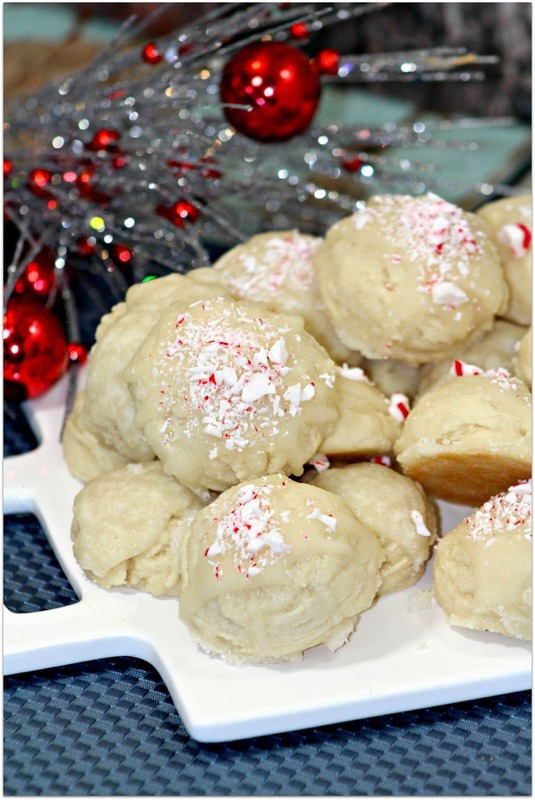 -Using a small ice cream scoop, form the cookies, placing them on the lined cookie sheet. -Bake at 350 degrees for 9-11 minutes or until the bottom of the cookies are slightly brown. -Remove from oven but keep cookies on the cookie sheet. 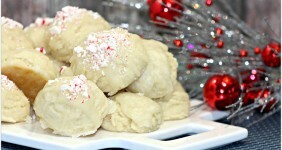 -With the cookies still hot from the oven, begin to make the glaze. -Add all of the ingredients in a small pot. 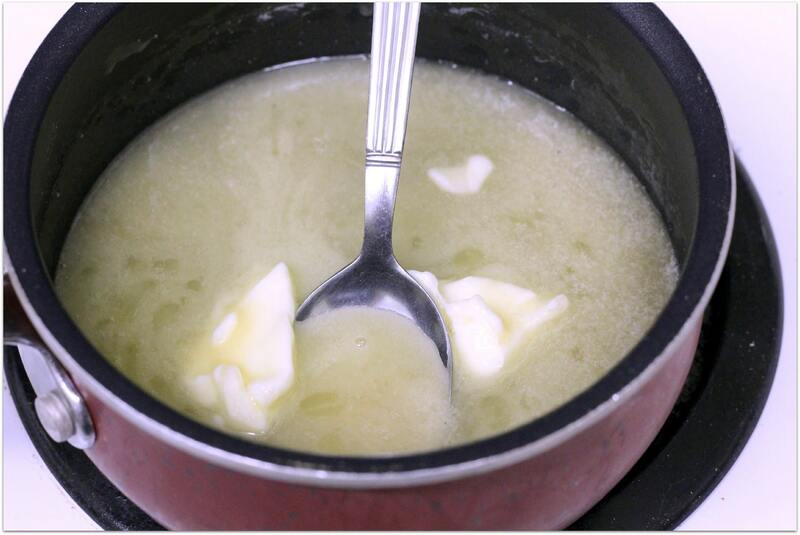 -Cook over medium-high heat, stirring continuously until the combined butter and sugar is melted and dissolved. Do not boil as the sugar will burn and turn brown. -The glaze will thicken by slightly cooling it. -Take a spoonful of the glaze and drizzle it on each cookie. 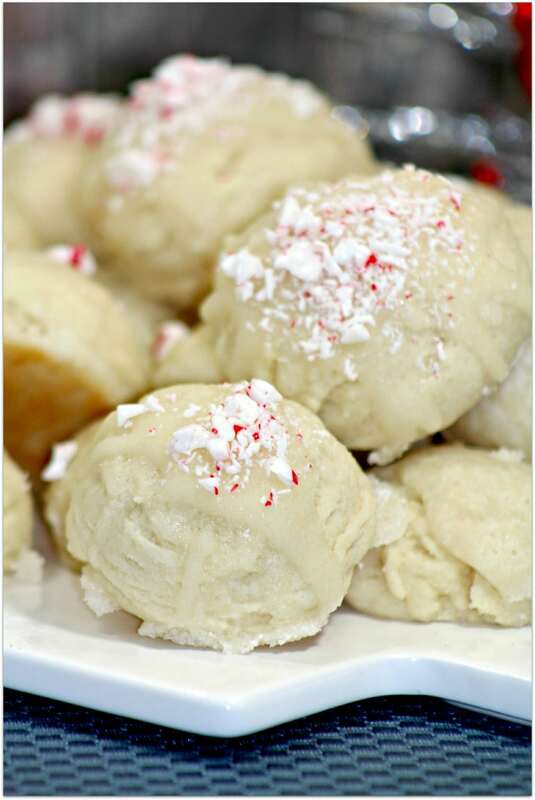 -Sprinkle the crushed peppermint on top of each cookie. Easy peasy, right? I’ll be making these over and over for the holidays! I love that they are different than traditional Christmas cookies. Here’s a printable to make it even easier! 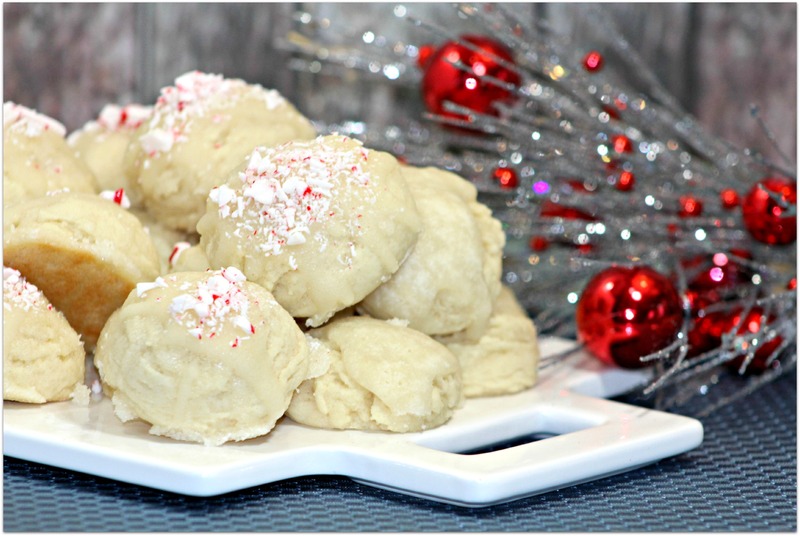 You will love these Kentucky Butter Cookies! They are the perfect adult dessert! -Add together the flour, baking powder, and salt. Add into the other mixture. Looking for more Christmas recipes? Check out these 10 Christmas Breakfast Ideas or these 10 Delicious Christmas Dinner Recipes including Dessert! I don’t have bourbon, can I use rum or Canadian blended whisky or cherry brandy? To give it an Italian twist you can use Amaretto or Sicilian Gold. baking powder is listed in ingredients and in the instructions you say to add baking soda ?? Which is correct ? Each produce a different kind of completed cookie ! I’d like that answer too. I am so sorry. I make mistakes now and then, but that’s a big one! It’s baking powder, not baking soda. So glad you asked, Dee Ann. Merry Christmas and Happy Holidays. Thanks Kelly! I made them yesterday for a cookie exchange at work, and I decided on baking powder. 🙂 They are amazing!! Thanks SO much for the recipe! Merry Christmas & Happy New Year!! A huge sigh of relief! Thank you for letting me know, Dee Ann! Merry Christmas & Happy New Year to you, too!! I’m so very sorry, Diane. And also that I missed your comment back in September. It’s baking powder. I’ve updated the recipe. Thanks for taking the time to ask. Is there an alternative to the crushed peppermint? I thought the same as I am not a fan of peppermint, but I was thinking maybe crushed pecans instead would go nicely with these ingredients!